How Soon to A New Gorillaz Album? 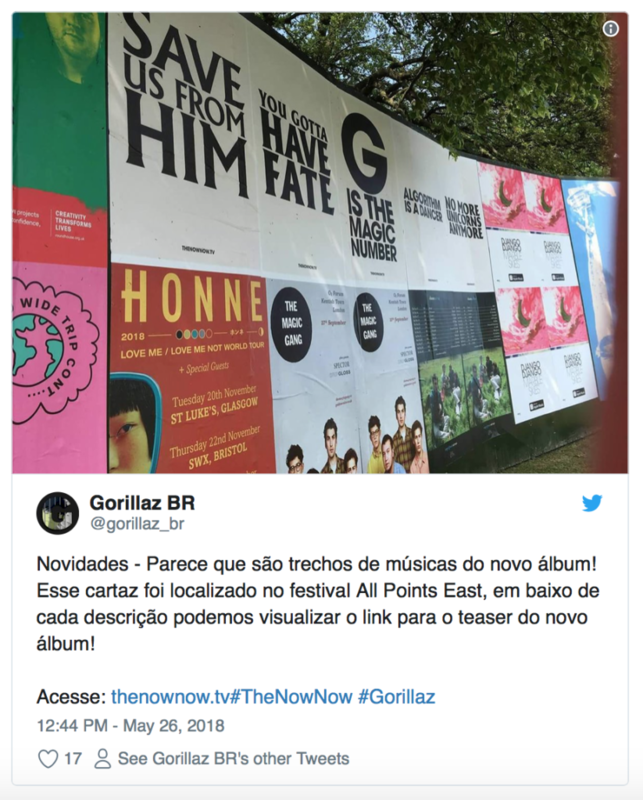 Maybe you saw the same cryptic clues on Twitter – looks like Gorillaz are gonna be releasing new music soon. Or are they? 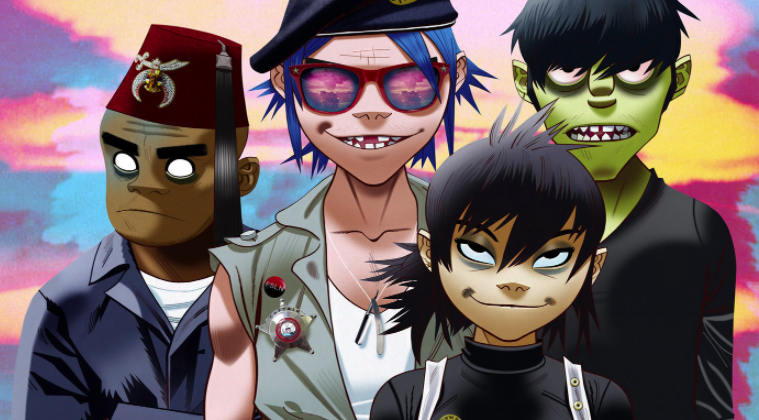 You may remember last year the band’s Jamie Hewlett said there would be new music coming in 2018. Concert goers at the “All Points East” Festival in London this weekend saw posters like the ones below. The posters featured the website TheNowNow.Tv. When you go to the website, a short clip plays, as if it’s the opening credits of a TV show. The clip features the words ‘The Now Now’ pop up, with the date ‘June 29’. So, the question is – are they talking about a new album?